This course is specifically designed to help participants gain the skills and experience they need to find employment as a bookkeeper or accountants assistant. In order to qualify for these positions, you will need to master the essential skills that employers require. A 5-week training program. Classes are 4 hours in length. 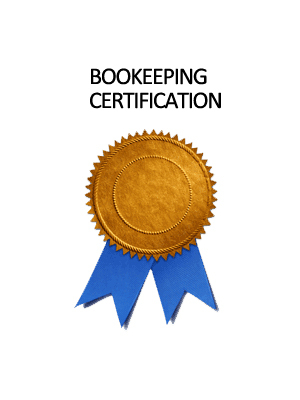 This course is designed to fast track the needed skills for successfully working as a bookkeeper or accountants assistant. Therefore, we have structured these courses to focus on these skills. Each course walks you through the essential concepts and features using examples and exercises to solidify the learning. We have carefully designed the course to be relevant and easy to follow. Each course also comes complete with a manual for further study and review after the sessions are over. Students can expect to learn the required accounting and software features needed to properly manage financial management systems. Take all of the time that you need to prepare for the exam. For those that want a certification of their course, can add an optional certification exam. Participants will have scheduled one on one classes with the instructor and homework assignments to reinforce the training. All of the working files for the exercises and required work resources are provided. Earn your certification in about 5 weeks. This course combines the best of one on one tutoring and home study with extended email support from your instructor. Perfect for those that want to learn a college level course but don't have the time to dedicate to months of learning.